Spring has sprung and it’s time to decorate for the new season! 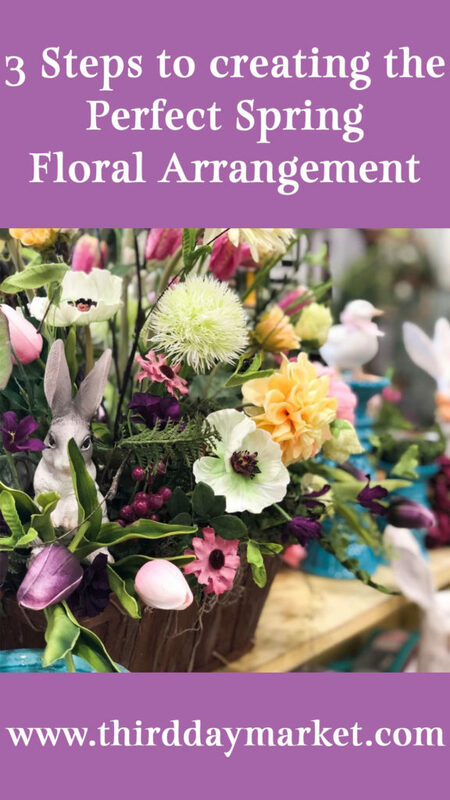 We are here to tell you the quick and easy three step process to creating your perfect spring floral arrangement. This could be things like succulents, eucalyptus, labs ear, ferns, etc. Following these three simple steps will help you create the spring floral arrangement of your dreams. But of course, if for some reason you still are having trouble, you can always come and visit us and our Floral Expert, Melanie at Third Day Market! We love to chat about florals!